There are four kiddos in our family. Two girls and two boys. And let me tell you, I have decided that boys are harder to raise. Seriously! The girls were easy- mostly. But the boys, wow. There are so many things that we feel we need to teach them. We want them to be ready to take on the world, marry if they so choose, and make a mark on the world for God. So my boys, here is what I want to teach you! RESPECT- For authority, for adults, and for girls. We require "yes ma'am" and "no ma'am" in our home to foster a sense of respect for those that are older than us. We try to teach our children to look people in the eyes when speaking to them, to stand when someone older enters the room, and to defer to others. Do we miss the mark sometimes? Yes! But we are all a work in progress. CHIVALRY- I know that most guys do not show up on white horses and sweep ladies off their feet, but we do still believe in chivalry in this house. Opening doors for ladies, offering your seat, or walking on the street side of them down the street. I want my boys to treat the woman in their lives in such a way that makes them feel special, cared for, and protected. HOW TO LOVE- This is a hard one to teach in some ways. We shower our kids with love and hopefully they see that and emulate it. While we do not encourage too much "PDA" as my grandmother used to call it (public displays of affection), we do want them to see a healthy marriage where hugs and kisses are given freely and "I love you" rolls freely off our lips. 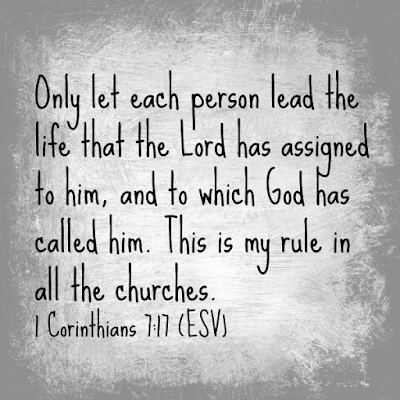 We want them to know that God wants us to love our spouses like He loves us- sacrificially. HOW TO BE A GOOD FRIEND- A friend loves at all times. Are we teaching patience, humbleness, listening skills? 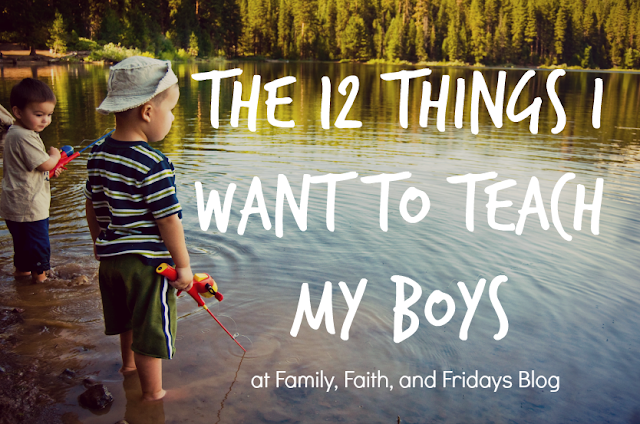 Are we teaching our boys to lay down their life for a friend? To stand by them through thick and thin? In our life of moving every few years are we showing them how important true friends are and how to work hard to have them and keep them? 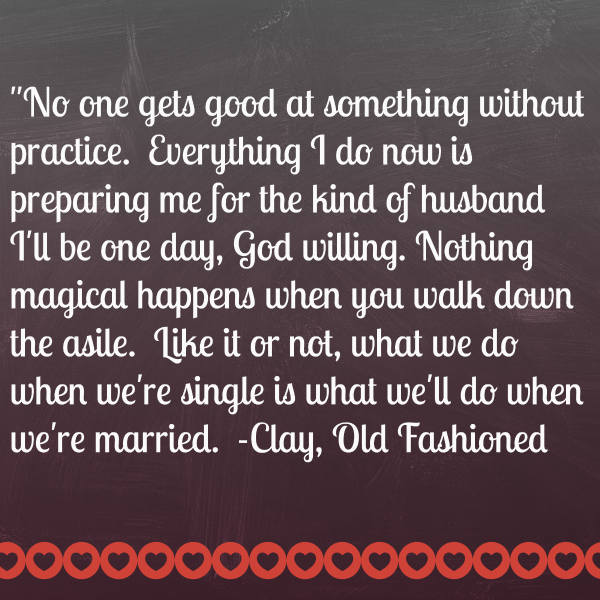 HOW TO BE A PROVIDER- We want to teach our men to be the providers of their families. We want them to know that money is not everything but it is something important to have a handle on. We want them to be good stewards of their money and be able to lead their families in those skills. We also want them to understand that providing is not just about money. It is equally important to provide stability, love, and support to their families and friends. MONEY MANAGEMENT- Dave Ramsey anyone? ;) Actually, any wise spending plan will do. I am convinced one does not have to make millions to be able to provide. Thank goodness, right? Good money management and a good plan will take you far. When you know where your money goes and you are a good steward of what God has blessed you with, you can not only provide for and bless your family but others as well. SELF SUFFICIENCY- Too many kiddos today carry an entitlement mentality around with them. They believe they can always get what they want and not have to work for it. That mom and dad will always provide. We want our boys to know that we will always be there for them, but we also want to teach them the life skills they need to be able to be a functioning adult in the real world. Things like changing the oil and tires on a car, survival skills and situational awareness, how to wash clothes and the dishes, what to do with a hammer and nails, and how to start a fire, cook a meal, and fire a gun. WHAT NOT TO WEAR- Don't laugh, but there are too many young people out there who have never been taught what not to wear. Or at least how to dress appropriately for certain situations. We want to teach our boys that what they wear to hang out with their buddies is not the same thing they wear out to dinner. And those things are different from what to wear to a funeral or an opera. We teach them to think multi-generational, as what you think is ok may not be for your grandparents. My husband tells the boys that you can never be overdressed, but you will stand out like a sore thumb when you are underdressed. Clothes don't make a man, but they sure make an impression! HOW TO BE A PROTECTOR- Can they defend themselves and others against harm? Are they situationally aware at all times? Right now that job in our family is that of my husband, but eventually the torch will be passed to our boys for their own families and we need to be teaching them those skills. Even more than that, are they being taught to protect others' freedoms, emotions and hearts? Do they put others before themselves? PURITY- It may not be what society teaches, but it is what we teach in our home. Our bodies were meant to be shared only with the one God calls us to partner in life with. No one else. FAITH- Our family grows in faith daily, but we work hard at it. We have nightly family devotions and we work hard to point our kids to God. We want them to not just know God but to have a relationship with Him, to love Him with all their hearts and to cling to Him always. Life is not always easy and it frequently throws us a curve ball. Faith can and will see you through! Oh friends, the list could go on and on. Some days the weight of it all overwhelms me, especially in this season of our lives. But the importance of it all pushes us forward with determination. God has made these boys with amazing potential, and I pray that we as parents will help them reach it! May we trust in Him to guide us and then allow Him to get ALL the credit. Confession time! 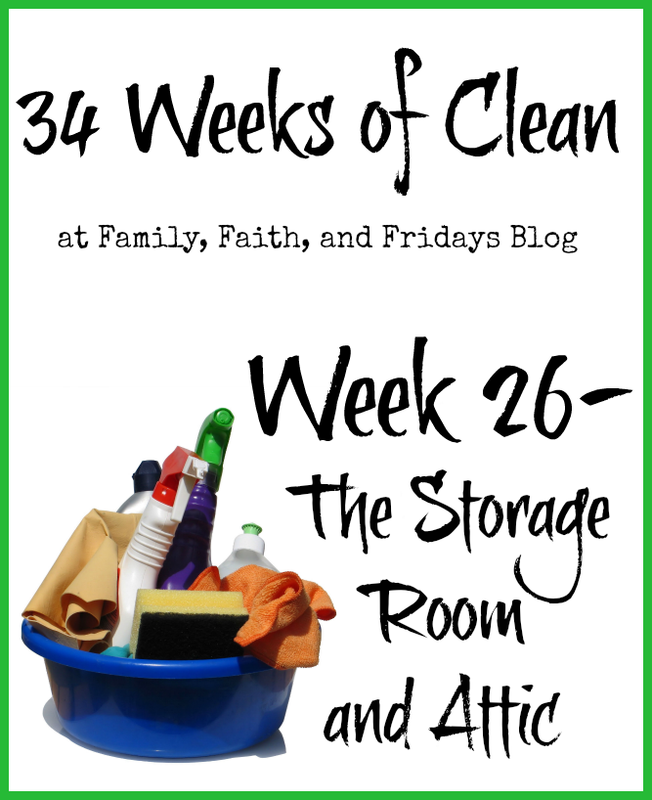 Here is what happens when you are hosting a 34 Weeks of Clean series! Each time you clean a room, stuff gets shoved to the storage area. Some of it was to give away, some were items that needed to go to the dump, (like the broken office chair) and some things were just in a holding pattern. Add that to the chaos in my current life situation, and well, you see what happened. Don't worry, hubby, I promise better pictures are to come. I took some tables out I needed and dumped it all in the floor! Nice, huh?! I share this with you to say, things happen. Life happens. 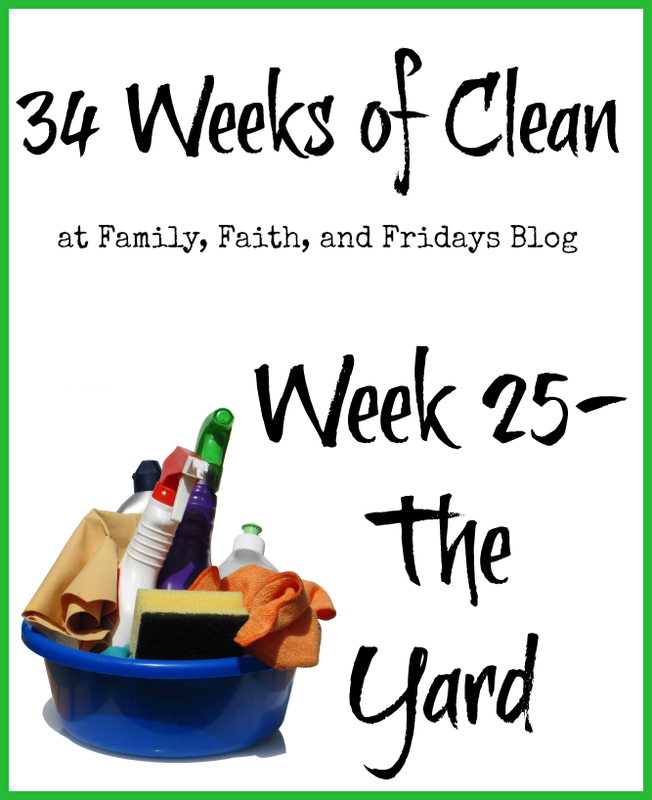 Not even the Queen of Clean, whomever she may be, leads a perfectly clean and organized life. I know, can you believe it? So while we are doing our best to take back our homes, we must also give ourselves the grace to just do the best we can. BUT, no excuses. Let's do our best! This actually represents two separate places. I know I have encouraged you not to spend lots of money buying things to help you organize, but I broke down and bought a new storage shelf system with my awesome 13 year old helped me assemble. I will say, I do think we often buy "things" to help us organize like buckets, baskets and such, and then wind up with just as much stuff as we had, just disguised in pretty holders. Don't fall into that trap. Remember that one of our goals is to pare down our stuff. But, I do realize we have some things we need to keep, though probably not as much as we think if we are being honest. That being said, to get all the stuff off our floors we did put this rack in place and then put stuff back a little neater. 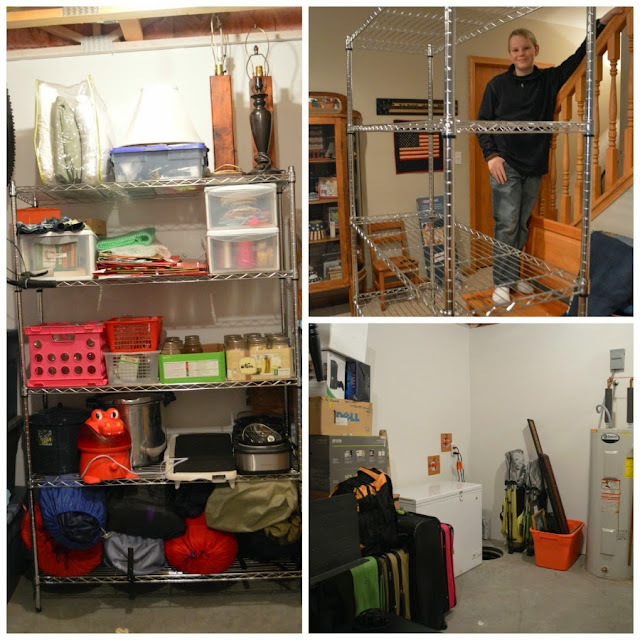 So storage rooms and attics, here we come! If at all possible, take everything out. This was not possible for us, so we concentrated on sections at a time. Sweep out the area! Don't forget the cobwebs in the rafters. Boo hiss on spiders! Have I ever told you I am afraid of spiders? Go through everything BEFORE you put it back. Get rid of things you do not need (no hoarding), do not use, or is no longer useful. Remember the "Do I use it? Would I buy it again?" rule! Make a plan! Please don't skip this step. Think about where you want to put things BEFORE you do so. It will save you time and energy. Ask me how I know this. 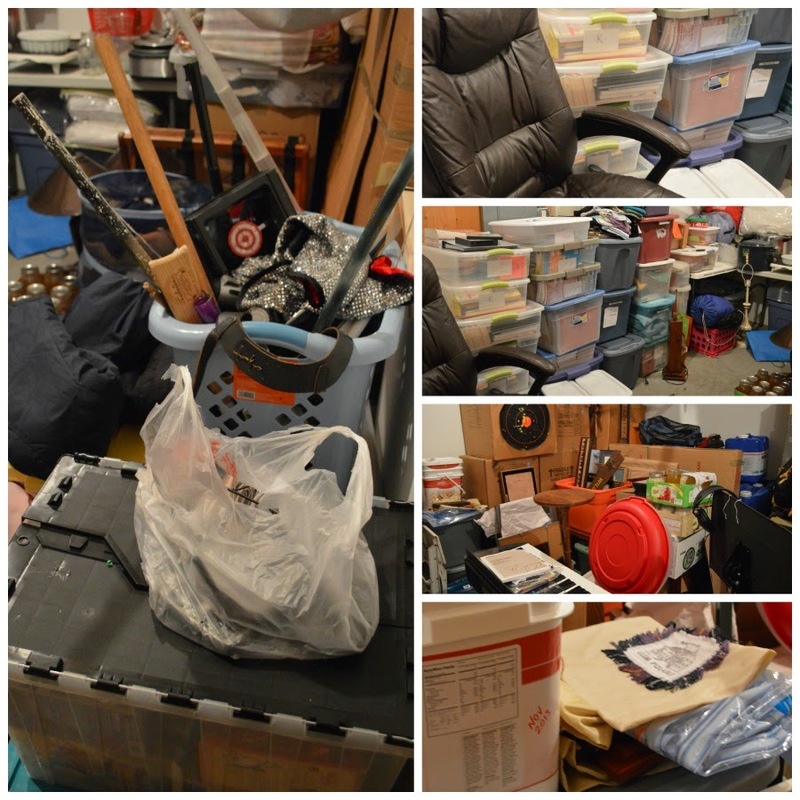 Unless you are in transition, I would honestly have to tell you that if you do not have enough room to store your "stuff," you may have too much "stuff." It is my dream to not have anything in storage areas with the exception of seasonal things like clothes and Christmas decorations, but until we stop moving that is not reality. One day soon, maybe! The only thing we can do in the meantime is keep the stuff to a minimum and remember that our joy does not come from things, but in God alone. Our giveaway basket pile is growing! What is one thing you would like to see in the basket if it arrives on your doorstep? One of the things I have missed about our current location is an ongoing women's Bible study. I love studying the Word with fellow believers, but quite honestly, I also just love the time with women. It's time that is set aside to rejoice in our mutual love for God. As the years go by though, I more clearly see that we all need a time to rejoice in our differences as well. We need a safe place to come together and feel free to be ourselves. To not be judged, especially because of the choices we make. Women are like that, you know. Have you noticed? We smile sweetly at each other and then judge quietly. In the modern day world of social media - not so quietly. It is unfair, it is hurtful, and God calls it sin. "...most of the division that we see among women today is actually over issues that are not eternal, issues that Paul would have labeled disputable." That is it, ladies - we draw lines in the sand for each other and cause division among women based on preferences or personal convictions, rather than God's law. Issues like whether to vaccinate or not, public school or homeschool, breast feed or bottle, or to drink kombucha or coffee become battle lines in our friendships. What causes this division? Often it is because we have taken a non-eternal issue and made it an idol in our lives, or we have seen the pros or cons of a topic in our lives so it has become personal. For something to become personal for us is one thing, but when we make it personal for others we are sinning. Our identity should not come from things, but rather from Christ alone! As Angie says, we are "making idols out of liberty choices." In her 8 unit online study, The Quiet Fight Between Women, you will be challenged to think about these divisors as sin and then how to make changes for the better. Let me tell you what is great about this study, outside of just the content - which by the way is amazing. Though online, Angie encourages journaling. Not only are there workbook pages you can print out but you can also record your answers online and save them. The format is very easy to work through. Each video segment is just a few minutes long, followed by written portions to read and often followed by a multiple choice question to highlight a point Angie discussed. 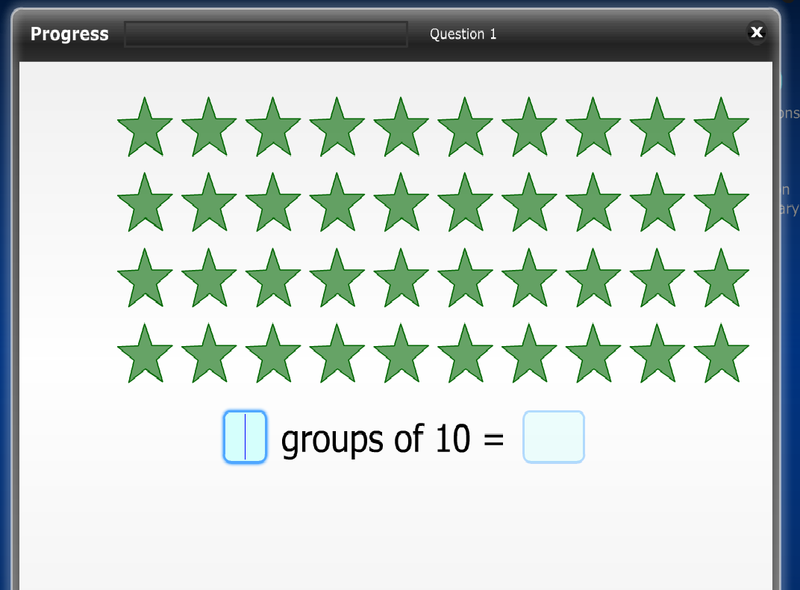 This layout is repeated several times per lesson, but at any point you can save your progress and exit the study. Angie has a busy life with kids and understand the demands on our time. Any work you complete on the computer saves into a workbook that you can access and see how you have responded. One of the things that has stuck with the most from this study is this statement from Angie; "We need to allow each other to be the person God has made us to be." When we walk away from God's laws and make up our own, becoming prideful about the choices we make, and then judge others based on how they live up to our standards, we are sinning against a sister in Christ. So many of us are guilty of making idols out of lifestyle choices. Me included. This study is challenging. It is humbling to look at the sins in our lives and label them as such. But it is also freeing, to ourselves and others. Oh friends, that we may learn to repent of our sins, ask for forgiveness when needed, and forge a new path! Our friendships will be blessed. Our lives as well! To share the excitement of her new Bible Study, Angie is hosting a fun giveaway. You can enter to win an Apple iWatch and course giveaway by using the rafflecopter below! Quick, only 9 days left to enter! It is often funny to me that people are not amazed that we homeschool, but that we homeschooled for high school. Teaching reading and math seems insignificant to people, but move it to a high school level and well, that blows them away for some reason. I have mentioned before that we did not start this journey with the intention of homeschooling our kids forever. Really, I had all intentions of sending the kids to the private school sector when they got older. But things changed. A lot of things. God has a way of doing that, doesn't He? I loved learning with my kids. I enjoyed spending time with them. I loved seeing them grow and mature. I loved the relationships schooling at home was building between our kids. And eventually I could not imagine doing things any other way. Even for high school. I know, I know, some people think high schoolers are scary. I love them. Yes, they can be emotional and wishy washy sometimes, but, hey, so can I! On a whole though, they are fascinating creatures who have brought me a lot of joy. And so far we have rather successfully gotten two through the high school years, with two to go. Good news- you can too! 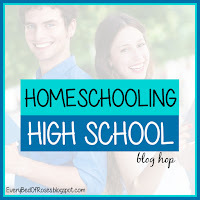 It all starts with a little planning, so let's talk about that today as we continue in our Homeschool High School Blog Hop. It is not really that hard, but there are a few things you should know in the beginning of this journey. The first step is to know what your state's requirements are for graduation. Some states require three sciences, some four. Other want physical education every year, while others couldn't care less. A quick peek online will tell you what your state requires. 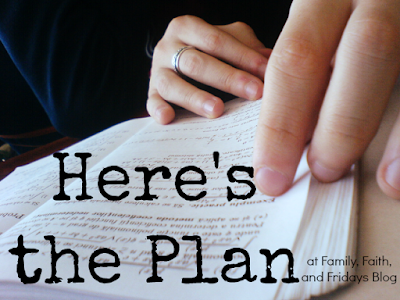 Your next step is to plan ahead. While you may not yet know what specific curriculum you will be using, you should at least know what year you will be fitting in each subject. And yes, you read that correctly. We start some high school subjects in our 8th grade year. As long as it is highschool level work, it is fine. Just make sure you document EVERYTHING is case anyone questions you. I recommend you also begin to look at colleges or any program your child might be interested in by 9th grade. No one is asking you to make a commitment yet, but you do not want to find out in your child's junior or senior year that there is a requirement for a specific program that you have no time to fit in. Know your options and you will not get yourself into a bind. If your child is not college bound, begin to look at the options that better suit him or her and help them work in those specific directions. A student bound for nursing school needs more science and math classes than someone considering a history or art major. Someone headed to a military academy needs to make sure they have specific boxes checked off to compete for those coveted slots. Technical training, such as needed for an EMT, can begin at age 18. Don't limit your child - think outside the box. Dual Credit what you can! I have mentioned this in the past, but it bears repeating. If your child can take a college level class during high school and get credit for a high school class AND a college class, why wouldn't you do that? Many colleges offer a discount for high school juniors and seniors and it is a great way to get ahead of the game. My high school senior will only be taking dual credit classes her senior year and will be able to enter college as a junior. It is a win win situation! Keep in mind that what your state requires for graduation may not be the same as what a specific college require for admittance. A perfect example of this would be in the foreign language department. While many states just want two years of a foreign language, some schools request three years and some none at all. The bottom line is that you need to know the requirements for both and decide what is best for your student. Homeschooling high school is doable and with a little foresight and planning it can be done well! And even easily! Yep, these are some of those friends. 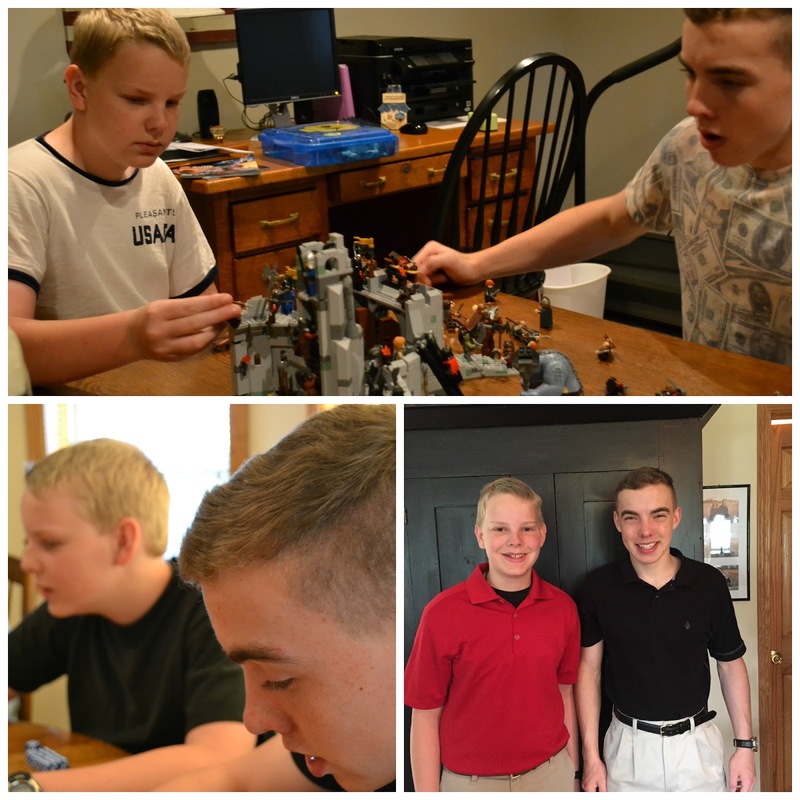 To help us pass the summer faster, they drove all the way from Texas to spend a heavenly 7 days with us. It was magical and much needed. We have beautiful memories to treasure in our hearts! A big thank you to this lady, whom I have been blessed to call friend for over 19 years. We raised our kiddos together, been stationed together, vacationed together, ridden out hurricanes together, and shared our hopes and dreams together. I would not be the person I am today (the good parts!) without her love and treasured friendship! 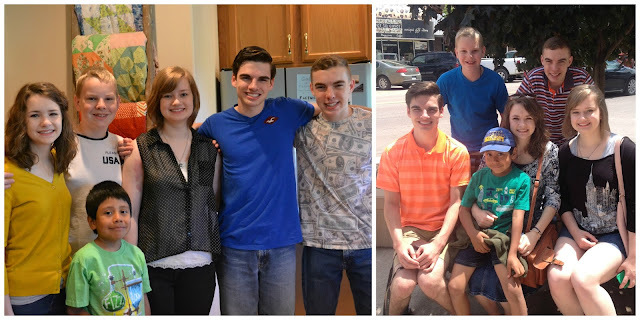 We are missing two of her precious children in these pictures (darn them growing up) but most of these kiddos have known each other since birth. Riley and Nathan were born three weeks apart and are the best of friends. They share the passion of singing, theater, and old movies. And these two - boy, have they spent hours playing and goofing off. Get them together after a few year's sepreation and they do not miss a beat- picking up right where they left off. 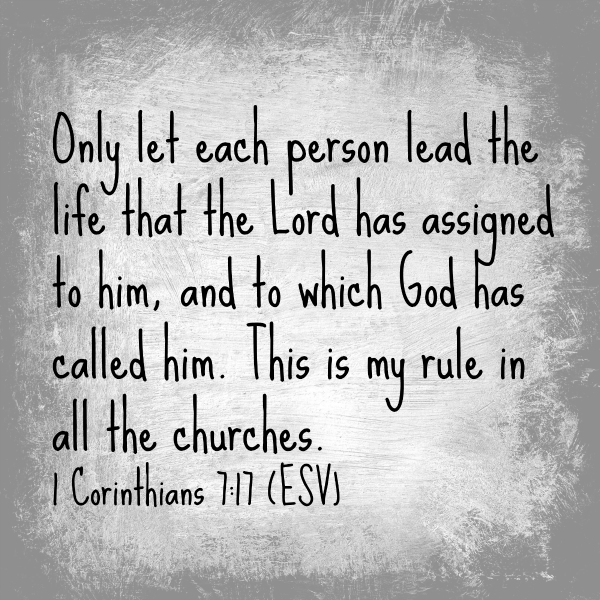 Thank you L family for loving us and doing life with us! You are treasured and loved more than you will ever know. 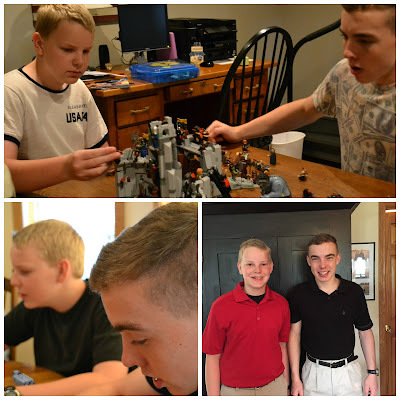 Proverbs 17:17, "A friend loves at all times, and a brother is born for a time of adversity." I hope you were able to have some fun with last week's assignment and get out and enjoy some nice weather. Since the warmer temperatures have finally found us here, we have enjoyed our back porch immensely. Don't 'ya know that my sweet hubby called me from worlds away and asked if that was a new rug on the back deck! ;) Don't ya love that we communicate through the blog? Anyway, we are staying outside for one more week- so let's tackle that yard. Now I know that this is going to be a bigger project for some than others. Some of you have been blessed by amazing property, while others, like us, are pretty close to our neighbors. Whatever the case may be for you, embrace what you have been blessed with and do the best you can! First, assess the situation. Stand in your front yard and take a look at what you see through fresh eyes. Does something stand out to you? Shrubs that need to be trimmed. Paint that needs a touch up. Broken toys or stacks of things that need to be thrown out or at least put away. Now do the same thing for your back yard. I am convinced that the houses we drive by that look like a confused mess are not seen that way by the owners. I believe that when the mess belongs to us we fail to see what others see. Today, try to see your property like never before. Ask yourself, if you were driving up to your house for the first time to potentially buy it, what would you think? Mow the grass. Edge. Weed eat. Tend to the flower beds. Throw the junk away. Put things where they really belong. Make your yard say welcome! And make it a place that makes you smile when you drive into your driveway! And make sure you take some pictures to share with us! Speaking of pictures, how did you do last week? Be sure to link up and share your progress so we can cheer you on! Don't worry friends, we are headed back inside soon! But until then, this week is a spot check for your pantry! Go ahead, peek inside and see how it compares to several weeks ago. Is it still sparkling and organized? If not, take 15 minutes tonight to put it back in shape. If you devote just a few minutes each day to keeping your house organized, it will make your life much simpler! Let's just get something straight from the start. Math is NOT my thing. Never was, never will be. But oh, how I long for my children to know more than I do. Much more. So I push math a lot in this house. More practice equals more skill. The kids will thank me someday, I am sure. While toted as an online math tutoring program, CTC Math has helped us significantly not only in the area of practice, but teaching new skills as well. This online math program allows each registered student unlimited access to all levels, from Kindergarten to high school subjects like Algebra, Statistics, and Geometry. We have been blessed to be regular users of their 12 Month Family Plan for the US. Each grade level is broken down into streams and then each stream is broken down into various topics. The lessons under each topic are quite short (ranging from 1-4 minutes at the lower grades), which is what we are working within right now. Several example problems are worked using a white screen and explained by a lovely sounding Australian gentleman, Pat Murray. After the lesson is complete, your child then works through several practice problems and is done. Not sure where to start? Each lesson has two tests that can be taken prior to the lessons to see what your child's understanding is on that particular subject. If they do well and you feel they scored high enough, you are free to skip that lesson and go to the next. Lessons can be done in any order you prefer, making is easy to pick and choose what to do each day based on your particular needs. This is a great way to get in extra review of areas of weakness, or study for a particular skill needed on an upcoming test. ACT or SAT anyone? The program is self grading and keeps your scores, emailing you weekly progress report. At the end of each unit completed your child will receive an award page to print out. Check marks on your menu show what has been completed for record-keeping purposes. Afraid you will run out of new materiel? No worries. There are over 57,000 interactive questions. Not sure your child gets it? You are able to rewind a lesson or repeat it as many times as you want. Because my older son has had a pretty packed summer, we decided to concentrate on just Colby with this review. Colby, who just completed 2nd grade, is actually pretty good in math, but when we did standardized testing with him I noticed some gaps in his learning. He also seems to struggle when something is not asked exactly like he is used to from his previous math. Often I know he knew the answer, but the working of the question tripped him up. I had planned on him starting at the 3rd grade level but changed my mind and have been allowing him to complete the lessons in the 2nd grade level as a review. We typically work 4 to 5 days a week, depending on our schedule. Because the lessons are fairly short, it is easy to fit one in between scheduled summer activities. The first week we worked on the program I did not allow Colby to skip any lessons, even if it was a concept I knew he had mastered. I felt like that would give him the confidence he needed. It also meant he got a high percentage score and was thrilled to print out his first certificate! The following week, I decided to mix things up a little and allowed him to take the test for the unit. I told him up front that at any time I saw he was struggling he would then have to actually watch the lesson. Turns out there was only one section he struggled with and it was in an area we had not covered in the previous year. After that we have continued to just take each day as it goes, hopping back and forth in what he does. Some days he is happy to watch the lesson and others he asks to take the test first to see how much he knows. As long as he is working forward, I am content to let him make that choice. 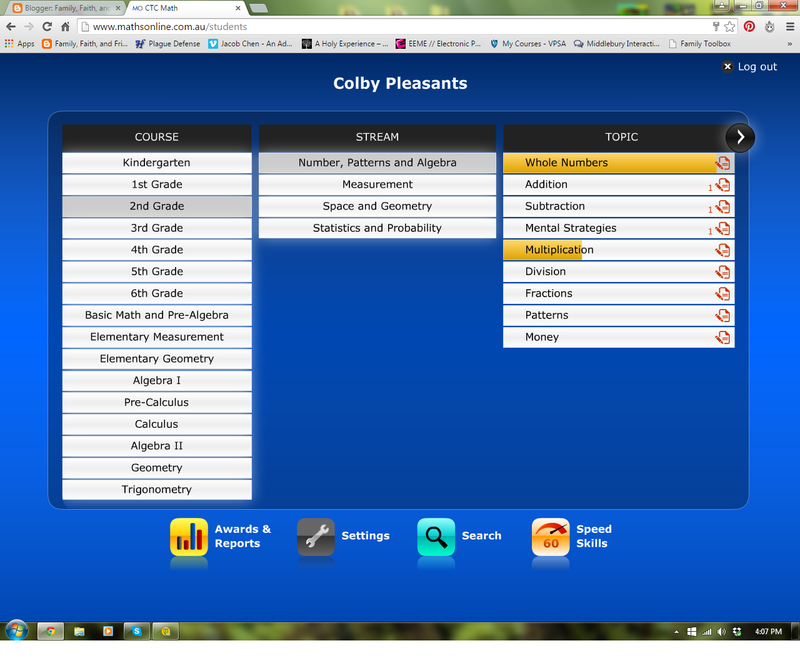 Another neat feature of CTC Math is the Speed Skills section. 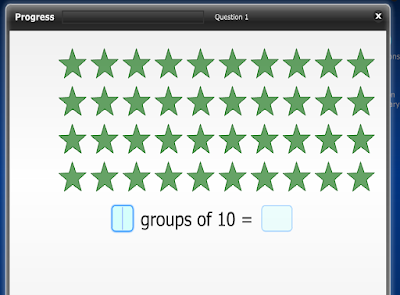 There are four levels to choose from and and each times you on math facts for 1 minute. 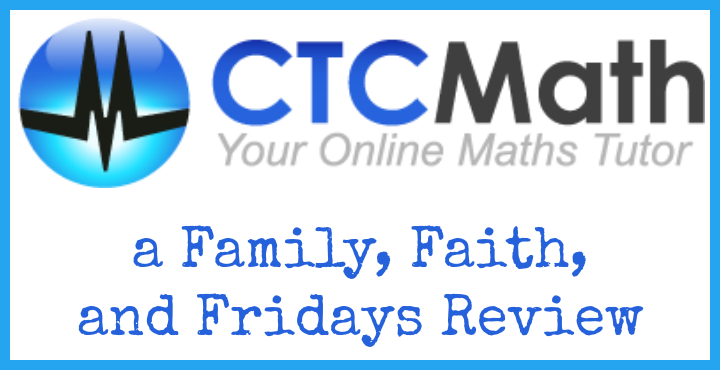 This is an area we have only briefly tried for now, as being timed seems to stress my son out, but I think it is a great way to keep basic math facts fresh in a child's mind and I am hopeful that the more we work on it, the more confident he will become. The program saves your high score so you can judge how you are doing. I really like this program! We had good success with it when we reviewed it previously, and continue to be impressed with the breadth of information it covers. For kids who need to brush up on skills or just stay fresh over the summer, homeschooled or not, this is a great, non-threatening way to give your child a few minutes of practice each day. The quick lessons and bright graphics easy hold a child's attention. I would also suggest that you could use it throughout the school year, if not daily for reinforcement, or maybe on one of your lighter schools days as a reward for a week well done. 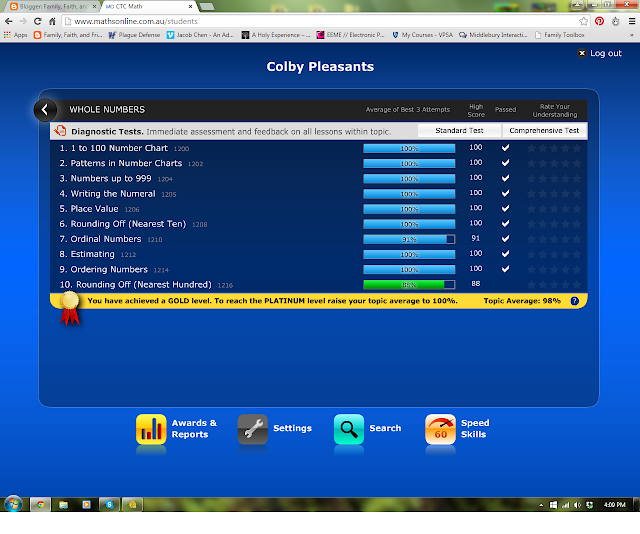 We will continue to use it and feel confident that it is helping to solidify the new math skills Colby is learning! Old Fashioned- The Movie, the Book and the Devotional Review and giveaway! Yep, that is exactly how things turned out with the movie Old Fashioned. I thought it was a movie about courtship. It is not. The kids thought it might be poorly made. It definitely is not! The kids thought it would be sappy and boring. It was neither. What it is, it turns out, is a story of God's grace. And love. 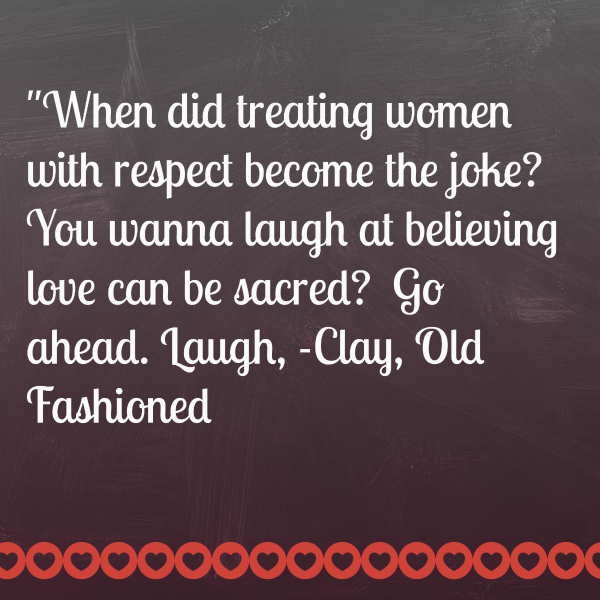 Written by and starring Ric Swartzwelder, it is a story about a man named Clay who led a pretty colorful college life, turned his life around, and decided how things were going to look different from then on out. He came up with some "theories" and built his life and his behavior around them. Unfortunately, somewhere in the midst of trying to follow the letter of the law, he forgot the spirit of the law. He held himself up to such drastic standards that even he could not make himself happy. 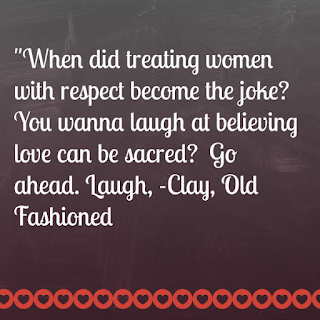 Clay had some great ideas of how he should treat women, the issue became how he treated himself. Then he met Amber, a free spirited wanderer who drifts into town and captures his heart. Through time, she sees her need for God's love and grace and he sees his need for letting go of perfection. And that's when the romance starts. Well, after a few interviews with a book and lots of personal questions. Trust me, you will like those parts! Quite simply, Old Fashioned is a good movie. Though there are some sweet, romantic moments in it, it is not sappy and isn't too predictable. There are a few scenes that are for a slightly more mature audience which earned it a PG-13 rating. I watched with with 4 teens and our 21 year old and it sparked a good conversation afterwards. Funny how movies can get a conversation started. The Book- Written by Rene Gutteridge and based off the movie, this 303 page novelization did a good job of sticking to the original story plot pretty closely. There were a few extras added, but on a whole, you won't see many differences. It is a fairly quick and easy read- I would say the perfect vacation book. 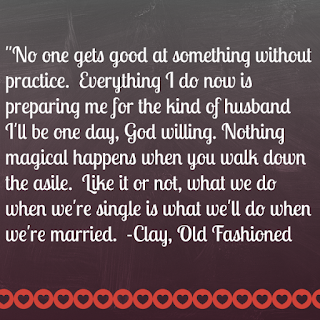 Contrary to popular opinion, being "old fashioned" doesn't mean you're dull or unromantic. In fact, a true old fashioned relationship can be more exciting and romantic than anything you've ever experienced! So what does it mean to do things the old fashioned way? Sure, it means opening doors, holding out chairs, and taking things slow. 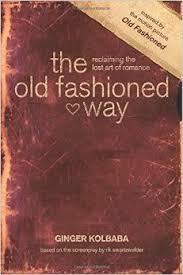 But a true old fashioned romance goes much, much deeper than that. Inspired by the motion picture Old Fashioned, this book will show you how to reclaim the lost art of romance by introducing you to romantic love as God intended it. Regardless of your past mistakes, where you've been, what you've done, or where you are now, you can find and create a love that will last a lifetime! In a day and time where our theaters are filled with trashy movies and many books boarder on filth, it is refreshing to be able to watch a Christian movie or book that is not only written well, but tells a story worth telling - that chivalry is still alive, that romance is still alive, and that God can redeem our pasts and make our futures beautiful! 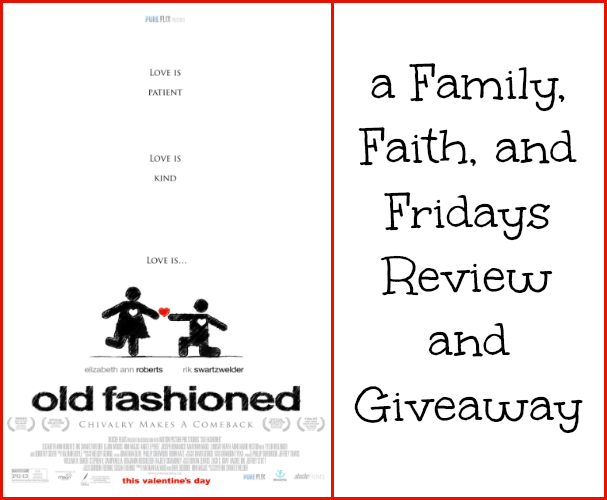 Fly By Productions and I would love to give one of our readers a copy of the movie Old Fashioned, the novel, and the devotional! Just leave me a comment and tell me what your idea of a fun date night with your significant other or group of friends looks like! A random winner will be chosen on Tuesday, 23rd. Old Fashioned can also be purchased from CDB for $15.95.